There is nothing as Indian as a “cup of chai”. We are fans of chai and the proof of it is we can drink tea at any time of the day. Even in the middle of a hot summer day, a cup of chai will be as refreshing for us as a chilled glass of lemon water, right? Chai is not just a beverage to us, it’s that energy booster that keeps us going. 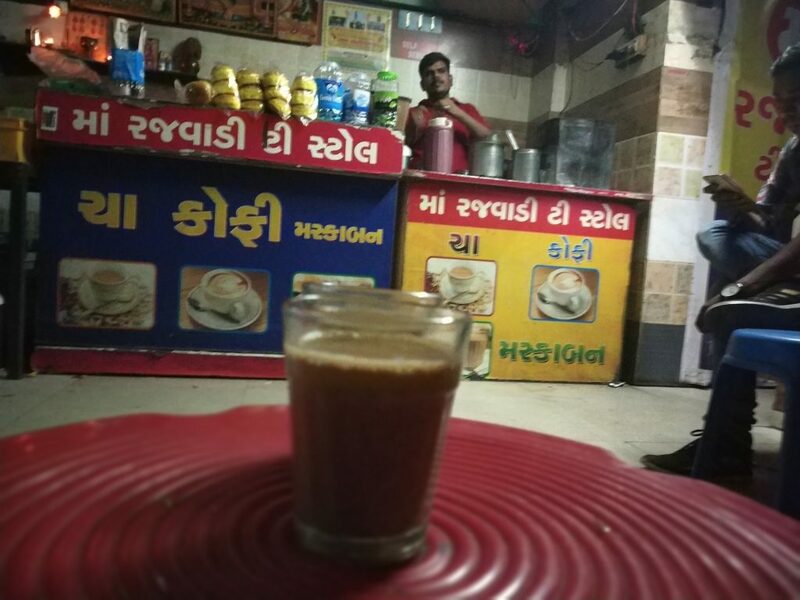 Ahmedabad City has lots of chai places with tasty maska bun – chai options available where you can enjoy the best of your break times. Here is the list, do visit and let us know your reviews. 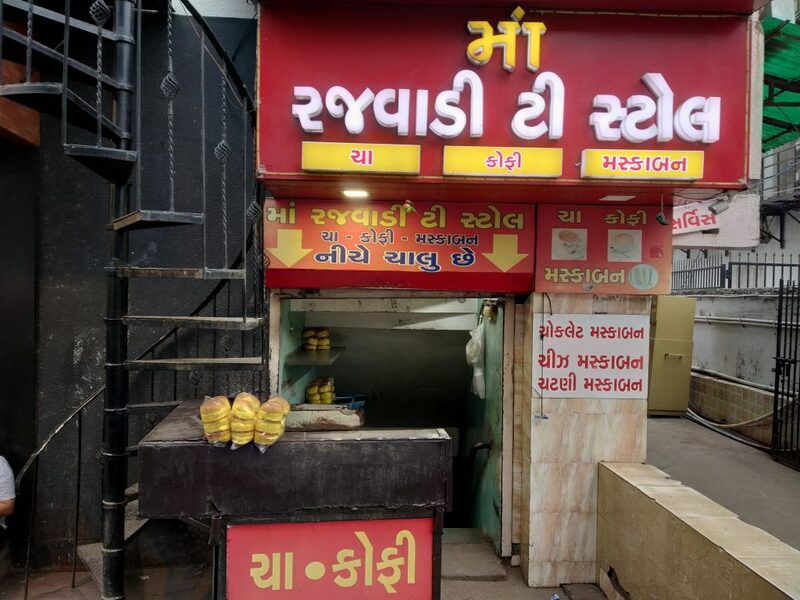 Rajwadi is an underground tea stall located at Shivranjani selling amazing chai and maska bun, just good to make our day right. Their Masala tea is famous among the visitors. People coming here are also seen eating Maska Bun fondly. You have three different options for maskabun to choose from; chocolate, cheese chutney. Apart from the original butter maska bun, these options are yummy too and enough to fill your hunger. During the night hours, the stall is set up on the roadside. The best thing about this stall is that expect from 2:00 to 5:00 AM chai is available all day. 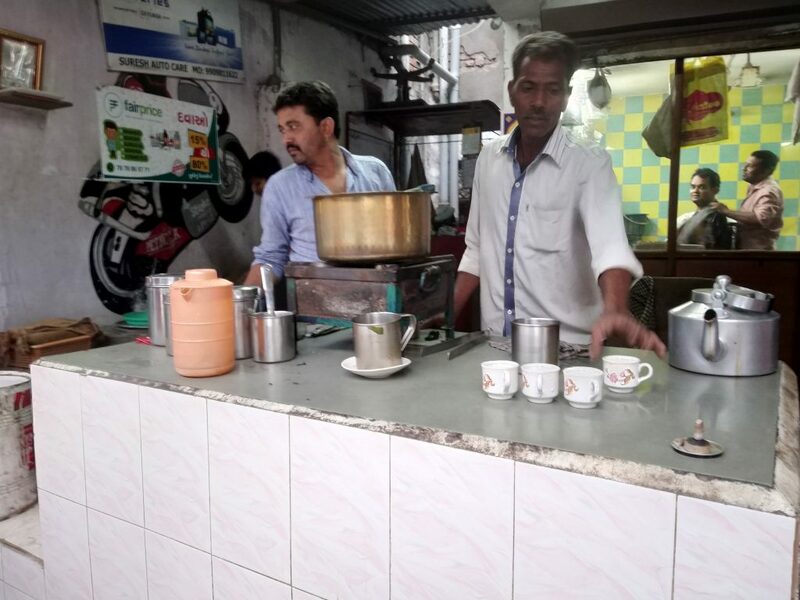 Guru Krupa tea stall located just opposite to Keshavbaug party plot is best known for it’s Pudina Chai. Tea is served here in the ceramic cups that is handy to hold a hot cup of tea. The most important thing that can make you visit this place again & again is the hygiene they have maintained at their stall. The Chai wala cleans up the platform as soon as the chai is made and served each time. In spite of the crowd the place remains neat and clean always, unlike many other tea stalls which you find on the roadsides. KK tea stall is another small tea stall located at IIM road. It doesn’t have much space or seating arrangement but the elaichi wali chai that they make is enough for to make you a repeat visitor. This tea stall was initially located exactly in front of the IIM gate but now it has shifted below Sandwich Workz. The stall is not exactly on the roadside but few steps below it which is the ground area in Madhav complex. Also, you will not have any difficulty searching this stall as you will find a small board near the complex with an arrow locating the stall. Apna Adda is not just another chai place, the tea made and served here cannot be compared to any other place. The authentic flavours of pudina and masala are nicely blended in tea that can leave you amazed. They serve hot tea in kullads which is not only eco-friendly but hygienic too as it is used only once and also doesn’t harm your health unlike plastic cups. 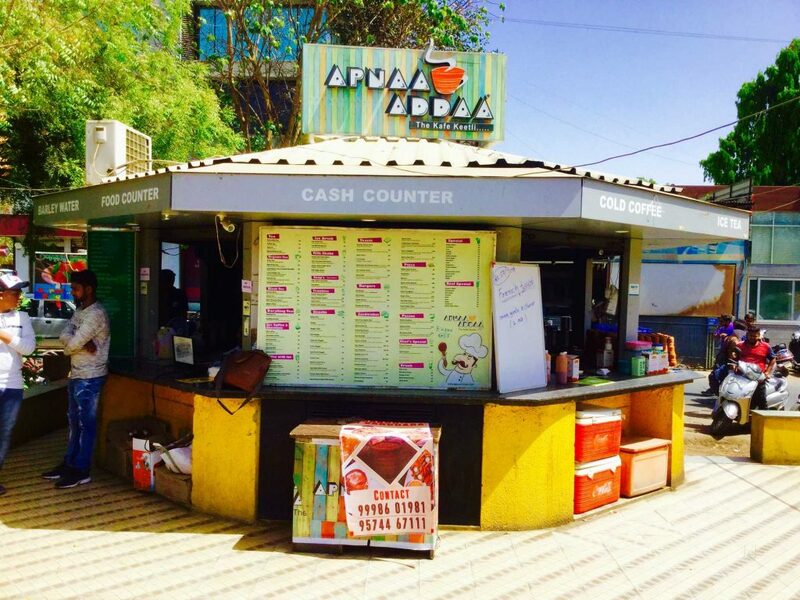 Apna Adda is one of the few chai places in Ahmedabad which is always lively and a perfect adda to hang out with your friends. Bobbybhai, as everyone knows him, started selling bun with butter, jam and cheese on a bicycle during the 1980’s. Today, he has become quite popular among young students and office goers who visit his stall during their break hours. He is a fun person to talk with and his amazing “adrak wali chai” goes just perfect with his talks. Along with excellent chai this place has lots and lots of makabun option like chocolate, orange, mango, rabdi which will surely make you visit the place again. 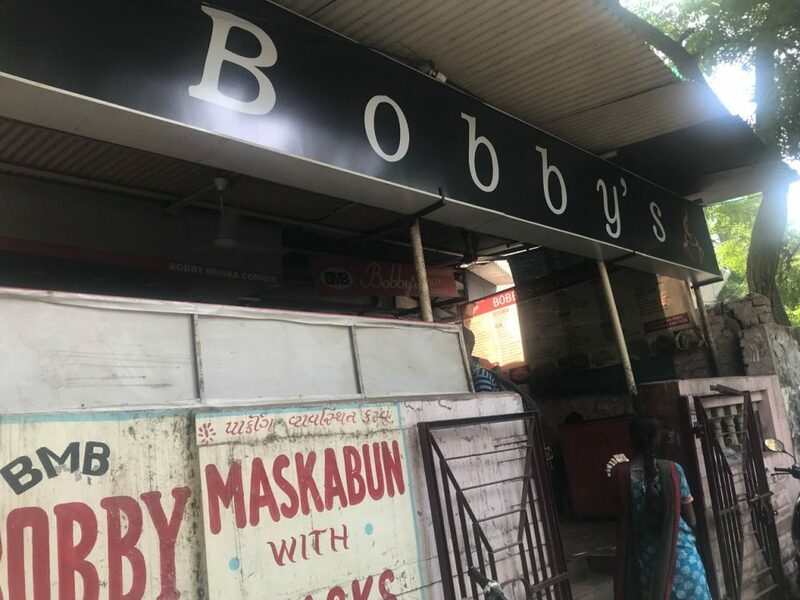 Nowadays, you can find Bobbybhai sitting at the stall on the IIM road exactly beside Danny’s coffee bar. Finding Chai on street is very common, finding an MBA chaiwala isn’t! 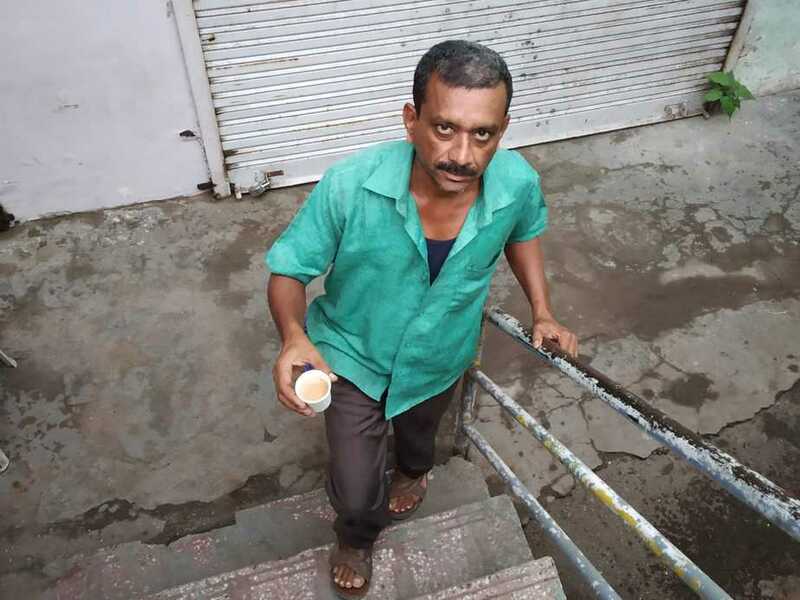 Prafull Billore was doing his MBA when he simultaneously started with a tea stall. He was fondly known as MBA chaiwala by his friends. 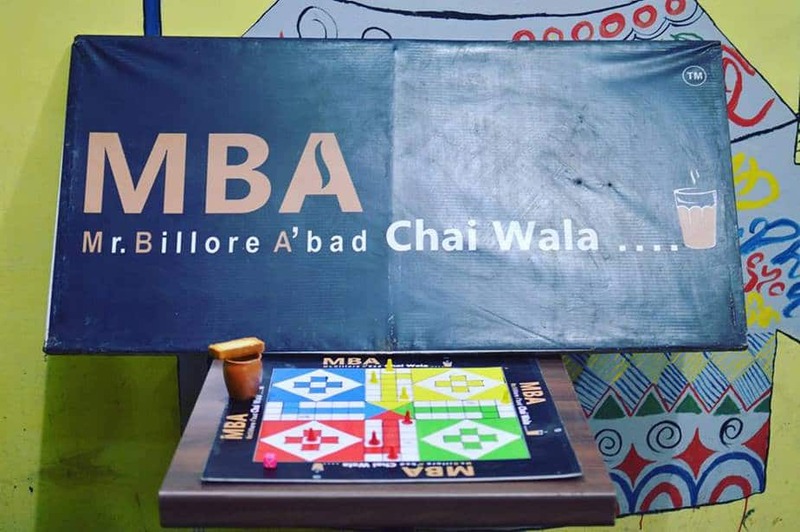 Meanwhile he dropped out of MBA and naturally ended up with tea cafe named MBA chaiwala. Prafull makes amazing chai & also serves every cup with a complimentary toast. The place is just a perfect spot to enjoy your tea with friends. You can even play board games here, like ludo and have a fun time. 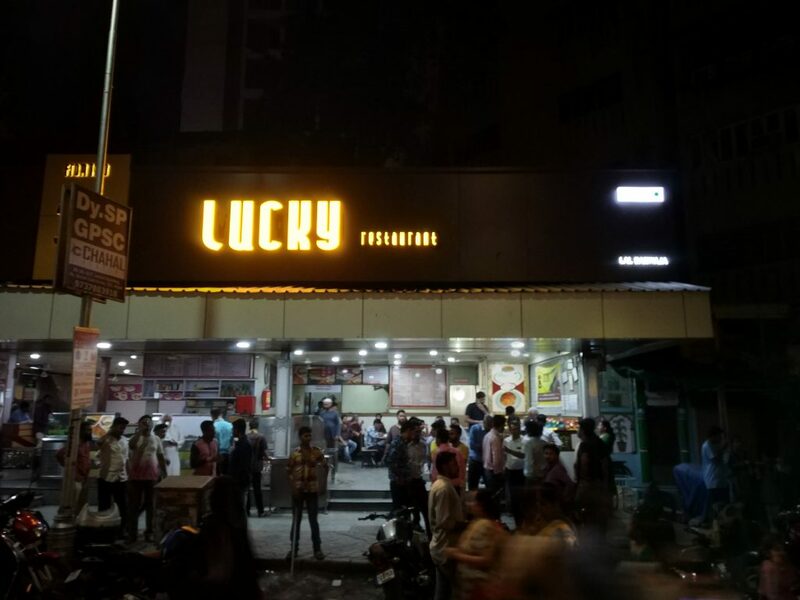 The cafe lucky is the most unique cafe in the city. The cafe unique because of it’s location which around a cemetery. The popularity of this cafe is not only because of the coffins inside it, but also due to the amazing chai and maska bun they serve. The “Masala Tea” served here has a signature twist added to the tea that is the cocoa powder which adds to the excellence of the tea. 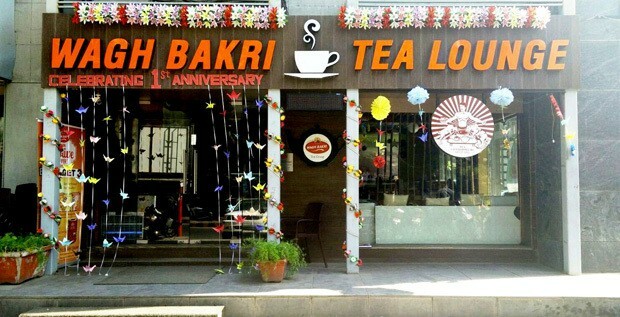 The combination of their Masala Tea with the Maska bun is the reason why people love visiting this place. Tea Post is one of the fastest food startups to make its mark across the region. Tea post serves quality tea and snacks at economical rates. They caters to students and office goers mostly. 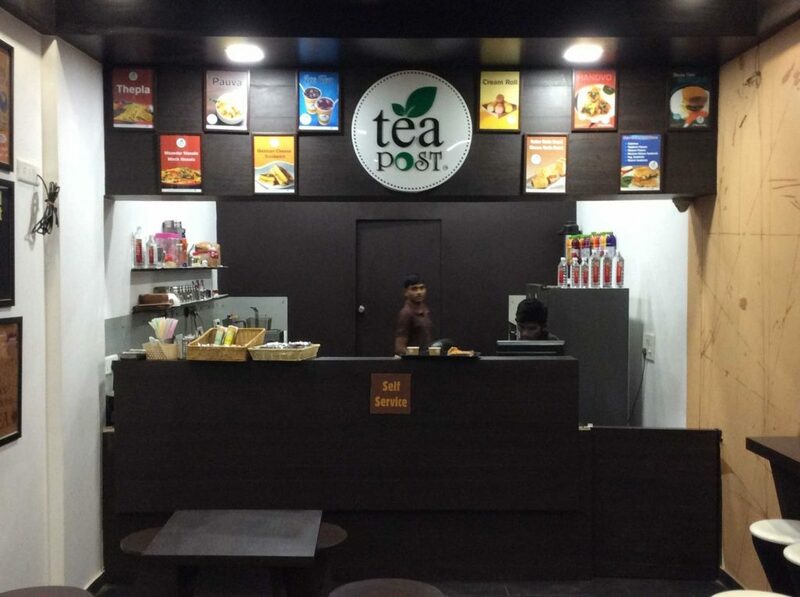 Tea post is an inexpensive place to hang out but worth a try! 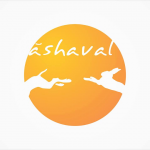 Chaiwai, a small cafe which can become a perfect breakfast destination for you. A variety of chai with a nice classified menu of food options will make you land here every now and then. They also give you option of kullad to opt for. You can even order tea in kitli as per your convenience which serves four cups of tea. 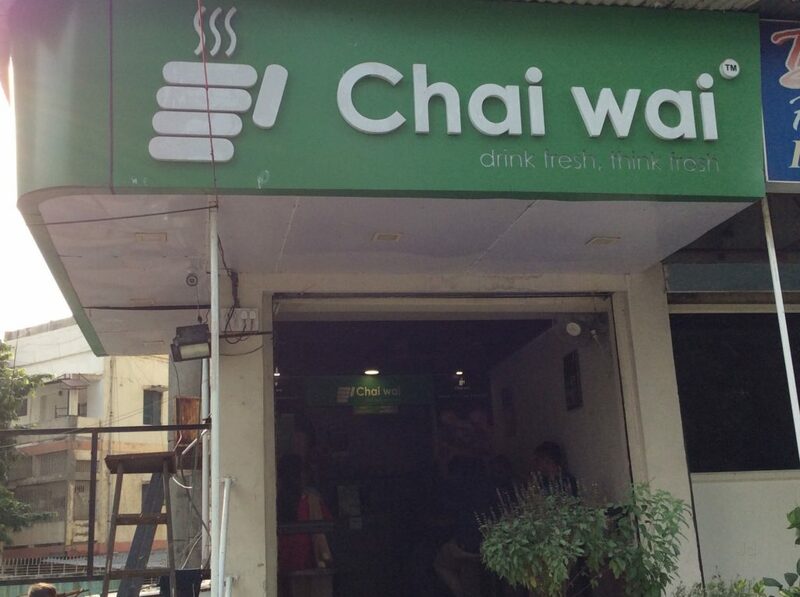 Each and every variety of chai and food they serve here is lip-smacking as well as pocket-friendly. Wagh Bakri tea is one of the most popular tea brand among people. 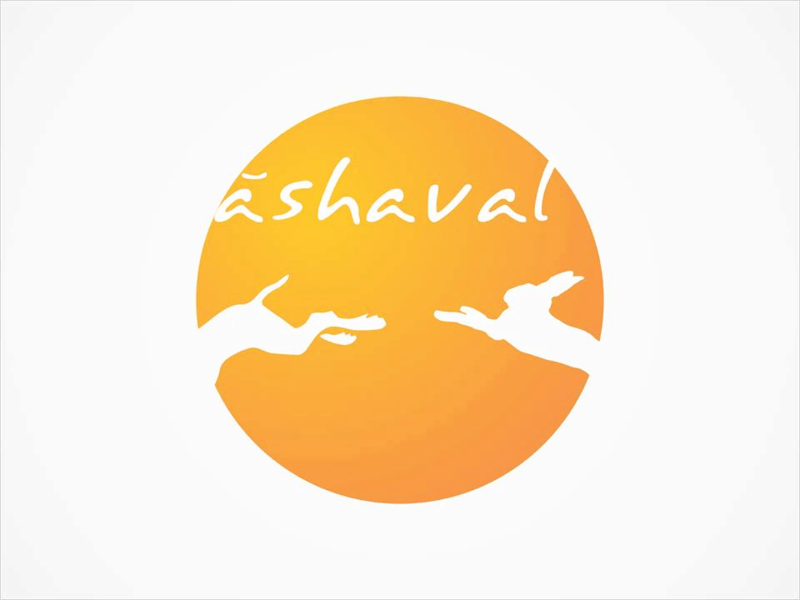 It is an Ahmedabad origin tea brand which ranks in the top 5 most consumed tea brands of India. Amdavadis love Wagh Bakri ki chai and what could be better than a tea lounge for specially these Wagh Bakri lovers. This tea lounge has some amazing varieties of tea from the classic milk teas with herbs to different flavoured green teas and gourmet tea. With a variety of healthy food options available, this place can become your early morning chilling spot. 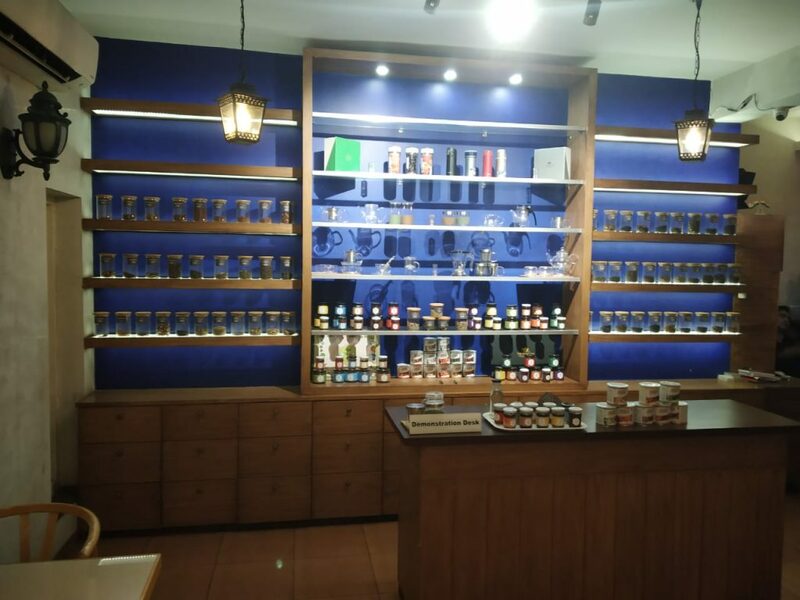 Kettlery is a premium tea cafe located in Bodakdev area of Ahmedabad. The first thing you notice when you visit this cafe is the beautiful interiors. The place is calm, inviting and relaxing, exactly what you would want when in the mood to relax. Kettlery cafe is a two-floored house-like structure, where the ground floor is the shop having varieties of premium and green tea. The upper floor is the cafe place with a cosy set-up. It has a comfortable seating arrangement, book self and also outdoor seating arrangement which is the best if you visit it evening. 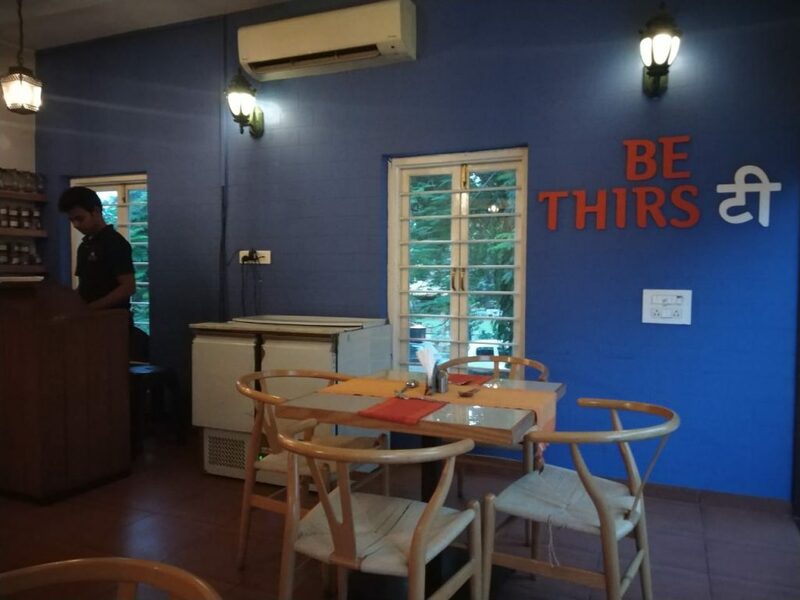 An amazing place for tea, be that on your breakfast time or you wish to spend a blissful evening having tea with your loved ones, Kettlery is it! The pricing of the place is slightly on the higher side but the quantity served is good. This was a list of some of the finest chai places we have been to in Ahmedabad & are really fond of. 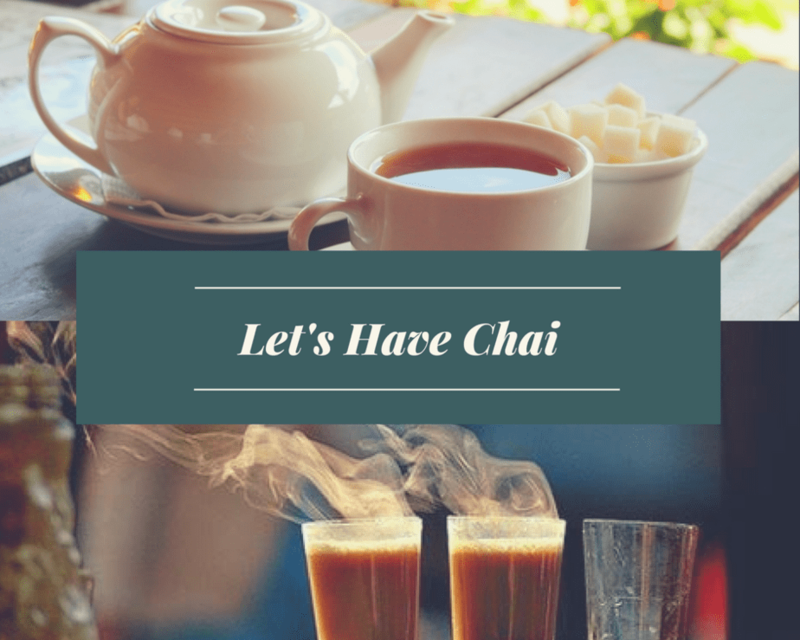 Tell us which is your chai Adda in the city & we would love to add them too in our list.